Every time I allow my Crock Pot to make dinner I wonder why I do not grant it permission more often. 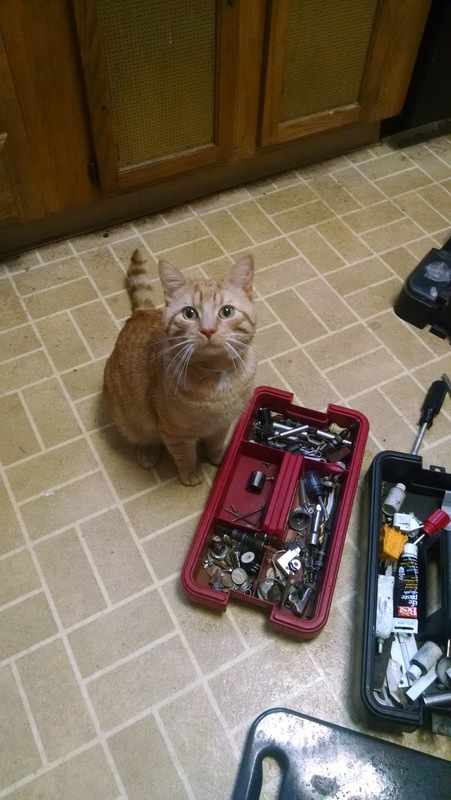 It is like having a servant in the house! 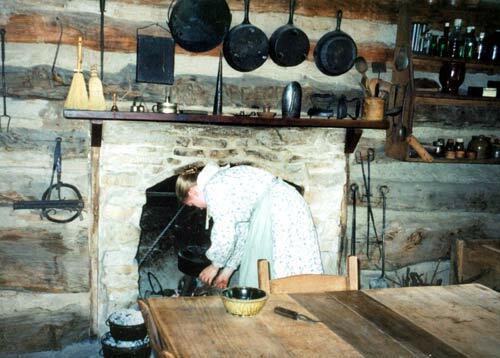 You walk in and there is this aroma of your dinner cooking. Every time I do this, which as I said is not often enough, I always manage not to be thinking about it when I walk in the door. Then that aroma hits you. Today it is Black Bean Soup. I used this basic recipe out of the 400 Calorie Fix diet cookbook. 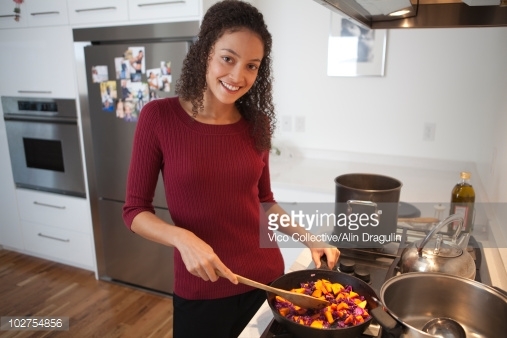 Diet cookbooks by the way have great recipes, in my (extensive) experience. They knock themselves out to impress you. The South Beach Diet cookbooks are excellent. Anyway, this Spicy Black Bean Soup, to use its formal name, pretty much has you toss together dried beans (2 cups) chopped up onion, carrots or whatever, and a cup of salsa, plus then you cover it with water. I waited until I came back home to add the salsa because I had not soaked the beans as the recipe asked, and I was afraid that with salt they would not soften correctly. After tossing in the salsa I spiced it up according to another recipe I love, Caribbean Black Bean Soup out of the Vegetarian Times cookbook. I threw in cumin, chili powder, salt and pepper and -- the piece de resistance -- a quarter cup of dark rum. "Your servant, ma'am." That is the Crock Pot speaking! The black bean soup is cousin to the white bean soup I wrote about a while ago. My friend Ryan made that white bean soup! That made my day. Today it was rather disorienting, because I had time to play the piano and work on my book and whatnot. Clearly I must explore and exploit the Crock Pot more often. 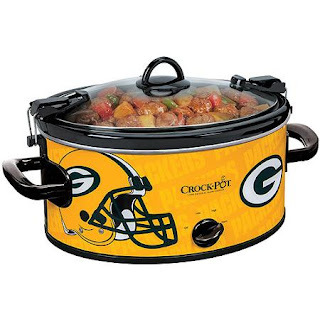 It is not often you find a Crock Pot recipe that is just excellent as I have kvetched before. We will have to make an index of recipes that work. When you find one, it makes your day! Wow, you blink and a fortnight is gone. Here I was feeling good about keeping up the Web log which is good therapy but all of a sudden the last thing I wrote was about the dead Beethoven. How about the dead Web logger? My aunt, my Auntie Rose, used to say, "Oh, the holidays." It would absolve you of any guilt over anything. This was the same aunt who loved "The Thorn Birds," remember? And whose photographs miraculously survived the Great Flood of '08. "Oh, the holidays," Auntie Rose used to say. And all would be forgiven. Once my brother George and I were staying with Auntie Rose in California where she lived in, you guessed it, Santa Rosa. And something went wrong, we were all fighting about something, Auntie Rose was mad about something. And I said, or George said, "Oh, Auntie Rose, I'm sorry. 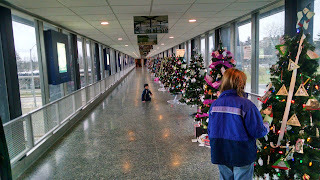 It's just the holidays --"
And she said: "Oh, the holidays." Anyway, I hope my spotty Web logging can be likewise forgiven. Oh, the holidays. We went to my sister's in East Aurora for Christmas. 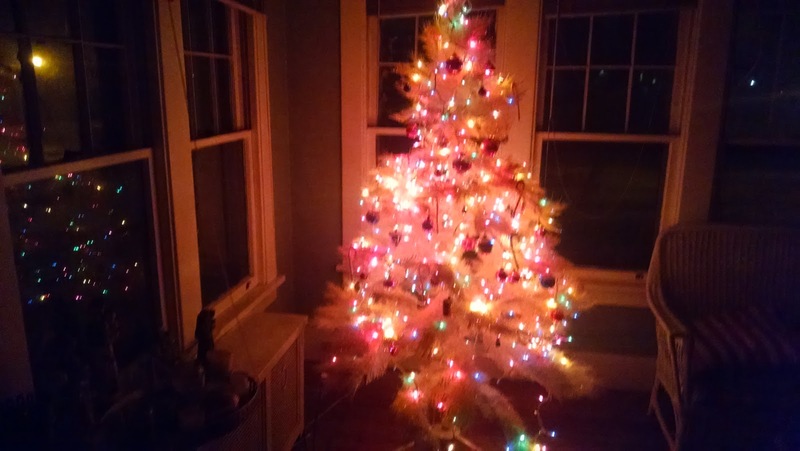 I took a picture of her magnificent tree. Katie always has these strange skinny trees and they would look terrible in anyone else's hands but in her hands they look like out of Martha Stewart magazine. What a picture! I must have been into the eggnog. On the Second Day of Christmas I made amazing cookies, the recipe to which I shall presently share. Yesterday, George and I and Georgie and Barbara celebrated the Fourth Day of Christmas by viewing the Festival of Trees at the one, the only, the iconic Robert Moses Power Plant. And do not fall over from shock but I have been doing a lot of work pulling the book together. Hence the gap in the Web log. But I will be more reliable correspondent. I have to say I enjoy it. It is good therapy. Where is the dead Beethoven? 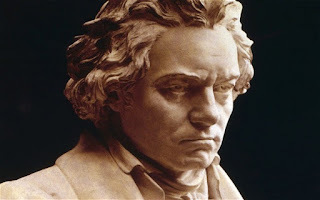 It is Beethoven's birthday! He was born on this date in 1770. Beethoven did us the courtesy of being born in a round year so it is not too difficult to figure out how old he is. He is 245 by my calculation. Am I right? I once saw the Beethoven Haus in Bonn. Also I visited his grave in Vienna's Central Cemetery. I visited Mozart's grave too but that is a whole other story. There is a famous story in our family. Everyone in our family made an individual pilgrimage to Beethoven's grave. I was with my mother but I think everyone else did it separately and alone. My sister Margie was in Vienna looking for Beethoven's grave and she needed to ask someone where it was. So she mustered up some German and she said: "Wo ist der tot Beethoven?" Meaning: Where is the dead Beethoven? "Der tot Beethoven ist im Himmel!" The dead Beethoven is in heaven! Well, you just know that he is. Leonard Pennario recorded some great Beethoven but all that is out there on YouTube is his "Moonlight" Sonata with orchestra, and he would kill me if I posted that for Beethoven's birthday. So there is this. Conducted by Josef Krips, another great musician who spent time in Buffalo. There is nothing like listening to Beethoven to reassure you that God will triumph and the battle has already been won! My father once told me that when he was a boy he heard this Allegretto from the Symphony No. 7 and just cried. He could not imagine anything more beautiful. Can anyone? His taste stayed the same over the years. Mine have, too. The music I loved when I was a kid I still love. Even now I am leaning back listening to this. Ahhh. 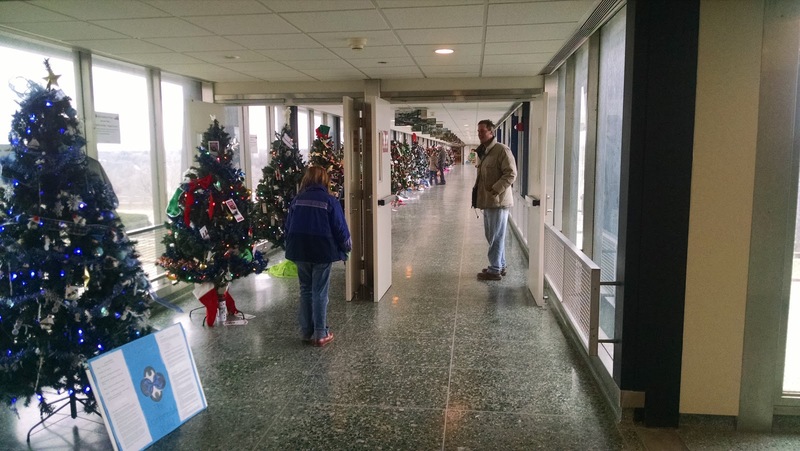 One of the happiest days of the year is the day the Christmas tree goes up! It is up because my niece and nephew Barbara and Georgie forced the issue. They wanted to come over and help me decorate the tree and that gave me a deadline. I am a journalist. I cannot do anything without a deadline. It is one reason the book on Leonard Pennario has taken so long. Anyway, I awoke Sunday, the appointed day, and just flew. Before church I got something into the Crock Pot and something else into the bread machine. Home again, I had to locate the ornaments and the lights. It only took about a dozen prayers to St. Anthony but I found them. Why hadn't I gone looking for them the day before? Oh, right, because the day before I had been cleaning out the front sun room, that was why. End result, as we say here in Buffalo: Sun room is cleaned up. Tree is up. My niece Barbara is just in that phase of life where she is in awe of all my stuff. "Oh!" she said. "You have the most beautiful ornaments!" That is amazing, to have someone admiring all your stuff! Then she marveled at my orange scarf, which you can see her wearing above. Next up for admiration was my collection of cookie cutters, the result of another furtive prayer to St. Anthony because I had not known we would be baking cookies today. Christmas music I heard today included Kay Starr's "The Man With the Bag." I do not think they have written a good Christmas song since, well, around then. 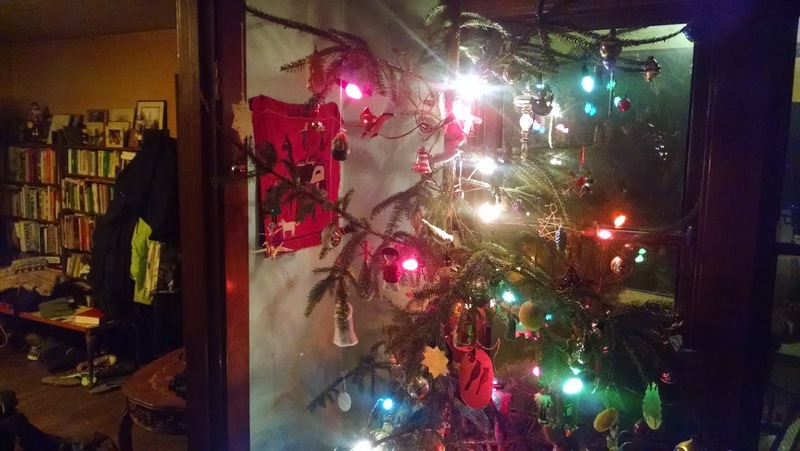 You hear these tortured rock Christmas songs and I just want to say, stuff it. In that stocking! I heard a few of those talent-less songs today, too. 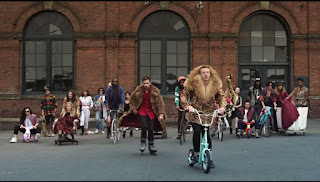 But this song was fun. Kay Starr's voice is so good and so is the blaring brass. It is kind of fun because we are having California weather. You cannot fight it! You just have to pretend you are living in California. 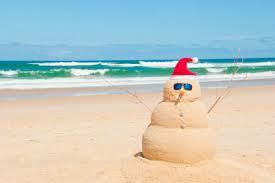 Where people are used to warm weather and make snowmen in the sand, pictured above, and know the name Leonard Pennario. Yesterday I decided it was time to get back into maxi-dresses. Hey, why not? If it's in the 50s. The one nice thing to think about is this is all time lopped off winter. Imagine if we can skate through Christmas without snow. You could gripe that you want a white Christmas but ain't nothing you can do about it ... and the payoff is, winter doesn't start until January. That is two months of winter, November and December, that we were missing. Meaning we lose two months of winter. We will hardly have time to get sick of it before it ends! And that is not a bad present. Our California Christmas! It'll make this December one we'll remember. 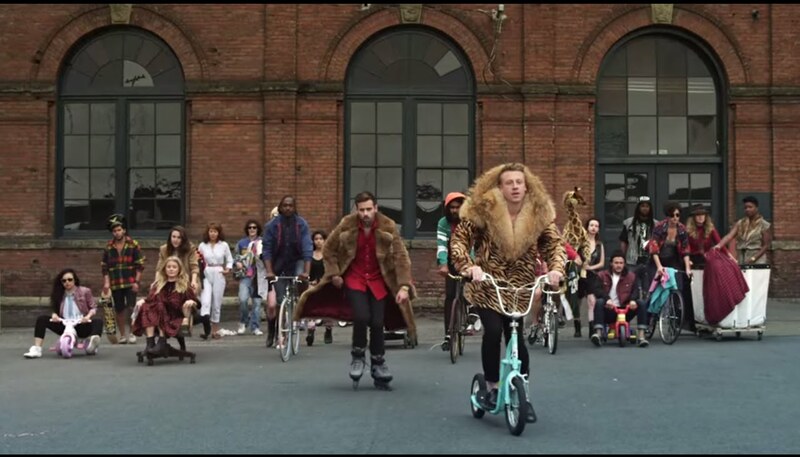 We now revisit the iconic tropical Aldi commercial. I have been Web logging kind of a lot recently so if you are a Facebook friend and it gets on your nerves, just hide me. It just feels good at the end of the day to look back and think of stuff that happened, you know? Especially good things that happened. I find myself doing that a lot. Today it was a trip to Albrecht Discount. It is funny, I walked in kind of stressed out. Of course Aldi has a way of de-stressing you as soon as you walk in the door. 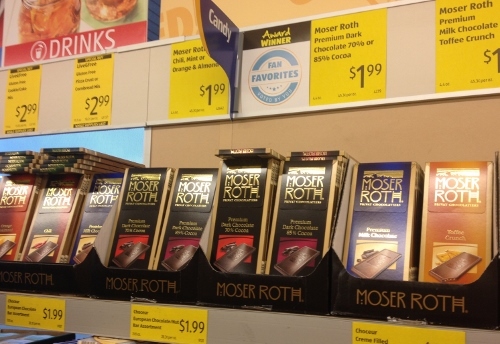 Because that is where they put the chocolate from Germany and Austria. You get Belgian and French chocolate in the center of the store but they put that high-octane stuff right by the entrance. Oh yes. Oh yes. Yes. So zombie-like I buy chocolate. I love the dark chocolate with chili. Then I advance to the center of the store. And I ran into my friend Mike! He is the husband of my friend Melinda. Things begin looking up. I ran into someone I like. I am ahead in the game of life. We began talking awestruck about the Aldi chocolate. Then after he leaves I go down this aisle and a stranger points out the greatness of this moose where, you pull some cord or push some button, the moose opens his big mouth and starts biting at you and singing a Christmas carol. All of us suddenly are gathered around this sight and laughing. Is that Buffalo or what? All of a sudden I was in a good mood. 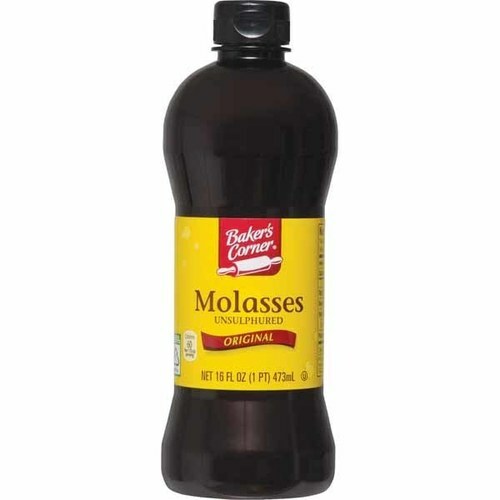 Not only that but at Aldi they had Baker's Corner molasses at a reduced price, 99 cents for a pint. 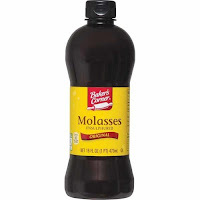 That is 16 ounces of molasses you may use for your gingerbread and molasses cookies. I also found whole wheat flour. You do not find that at Aldi every day. It was something like $2.60 for five pounds. I am a walking Aldi ad! This morning I got up at 6 and worked on the book and then worked out on the elliptical machine while listening to Pennario playing Chopin preludes, in expectation of such baking. The weather may feel like California but still I am ready for Christmas. Thanks to Aldi! This is funny, a while ago I was walking into Aldi behind two women. 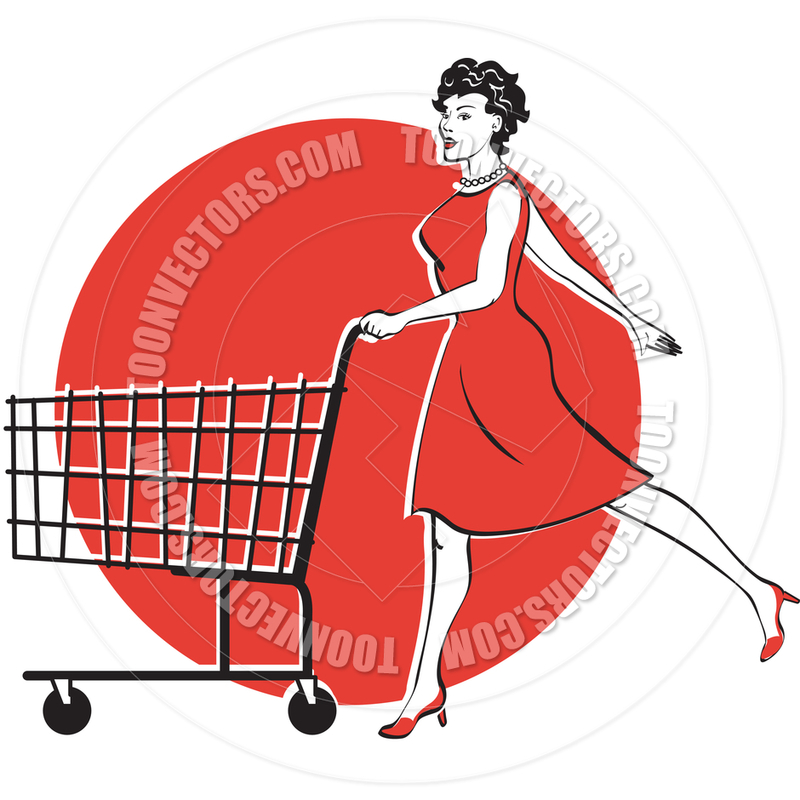 And I heard one woman say to the other, "I love this store." Today being the Feast of the Immaculate Conception I went to noontime Mass at Our Lady of Victory Basilica. 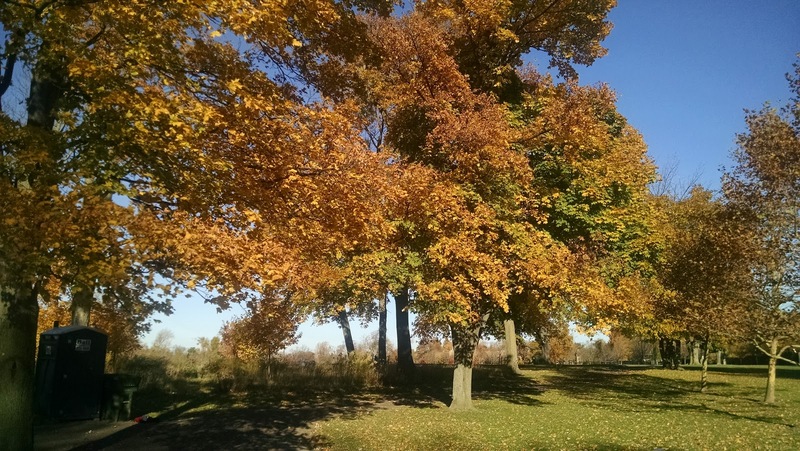 It is only 10 minutes from downtown! Plus you get to drive over the Skyway. An experience I love! Other people take pictures of the church. And the church is amazing. But me, I am different. I take pictures of the gift shop! The gift shop is where it all happens. That is a picture up above that I took in the gift shop. You can buy any saint you can think of! My gift shop fixation reminds me of the Theodore Roosevelt Historic Site which I got to visit last week as part of the Buffalo News series 100 Things Every Western New Yorker Should Do At Least Once. It was a fascinating place but still I could not wait to get to the gift shop! And when I was there I bought a hat and a scarf. I wore them today to Our Lady of Victory. After I got out of the gift shop I did take this brooding picture of the outside. Remember my earlier adventure in Lackawanna? Who could forget it? But this trip was eventful too. After Mass and the museum and lingering for a long while in the gift shop I drove a little around South Buffalo and saw the house where I lived when I was very little. When I was very young, my family lived on the first floor and my grandfather lived upstairs. My earliest memory dates from this house, at 193 Choate Ave. 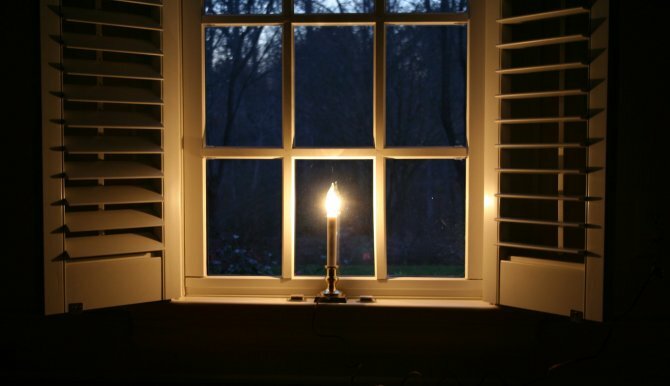 I remember being held in my grandfather's arms on the staircase in the back of the house and looking out a window. There was a star and the light from it was emanating as if it formed a cross. You know how that works, the window is streaked or something. And so you see this cross shape. Today, passing the house, I slowed down and sure enough, there was this window at the back of the house. It was kind of between the first and second floors. And I thought: That was the window! That was where we were, my beautiful grandfather and I! That was where it dates to, my oldest memory. That is where I looked out and saw that star. It is fun to think of what your oldest memory is. That is mine. What is yours? My grandfather, whose name was George J. Kunz just like my dad, died when I was 9. He owned a men's clothes store in Lackawanna which I began thinking about while I was in Lackawanna today, at the Basilica. This being Buffalo -- well, Lackawanna -- I got talking with strangers after Mass and they were interested in where my grandfather's shop was. I wonder if there is any Leonard Pennario connection with Lackawanna. I have not heard that there was. But there must be! I bet he was at the basilica once or twice. Whether he did or not, I will have to go back there. A 10-minute drive, and you get to see this amazing place? It is a long story but today I learned to appreciate my bathtub. 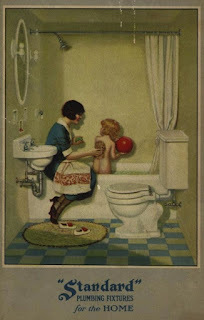 Some time ago I learned to appreciate my toilet. I mean the toilet in the downstairs half-bath. Howard taught me to see its greatness. Likewise today I see my bathtub with new eyes. I have been at odds with this bathtub for some time. I have been wanting to replace it because I have trouble cleaning it, whatever. And it seemed old and doddering. I was seduced by ads for soaking tubs. I have spent time on Pinterest. However, today, I found myself looking at my bathtub. That was because Howard pulled off a kind of miracle, fixing not only the bathroom sink, which was plugged up, but also the shower. He made the shower excellent. It blasted down on me like Niagara Falls and I found myself thinking: I no longer want to replace this tub. What if the people who replaced the tub screwed up the shower? After drying off and bundling myself in Leonard Pennario's bathrobe, I went and looked at the tub. It was kind of deep, now that I thought about it. I got a yardstick and measured the depth. It is 18 inches! That is deeper than most tubs. Epiphany: I do have, ahem, a soaking tub. And in the corner I saw the brand name was Standard. Not American Standard. Just "Standard." With the "S" a stylized shape. Howard pointed out that meant that it was before Standard merged with American Radiator, which it did in 1929. God knows how he knew that but he did. That means my bathtub is a genuine 1920s bathtub! Or earlier. 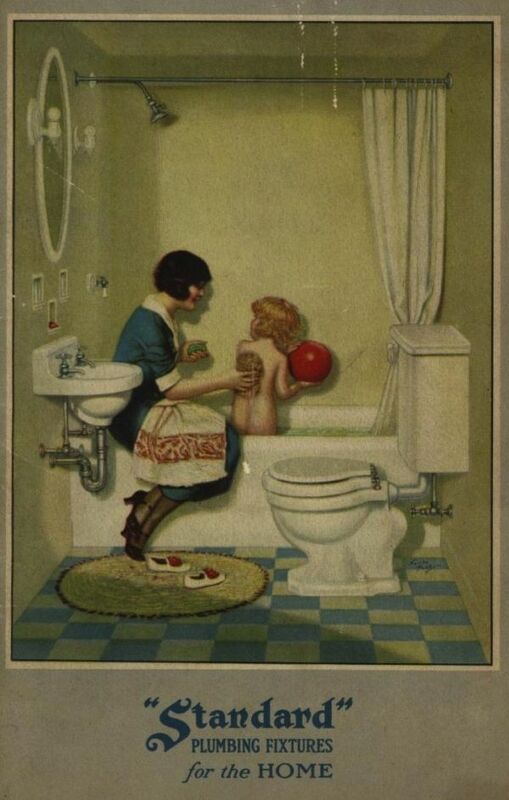 It is not a claw-foot but modern bathtubs in that era were not. Witness the ad above. My tub may well have been original to the house! It could even have been used to make bathtub gin! Isn't it funny, you can be sitting on something forever and not realize what it is. I have been in this house how many years? I never thought about this. I took Howard out to dinner in thanks for fixing the plumbing. 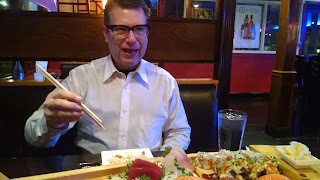 We went for sushi. Today I cleaned the tub and the floor. I am going to start to treat this tub with respect. It is an antique! Good thing I realized it before I replaced it. Learn from me. Before you toss something in your house or apartment, Google it. Analyze it. You might be sitting on an antique. Rejoice in what you have! Today after church the coolest thing happened. 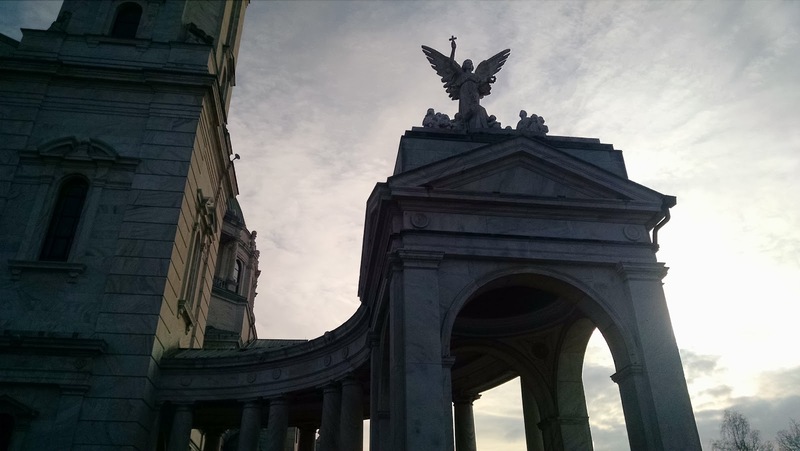 I was on my way out and because I had been loitering and talking, people were arriving for the Italian Mass. The Italian mass takes place after the Latin mass. This is at St. Anthony's church in downtown Buffalo. Anyway, this couple were walking down the sidewalk toward the church, and I was passing them because I was on my way to, you guessed it, the social hall -- to do more loitering, this time over coffee. As the couple drew near I heard them talking in Italian. And I smiled, and I called out: "Buon giorno!" That was the greatest! Because last week I had passed some folks heading toward the Italian mass and speaking Italian, and I had said, "Good morning." And later I was kicking myself. 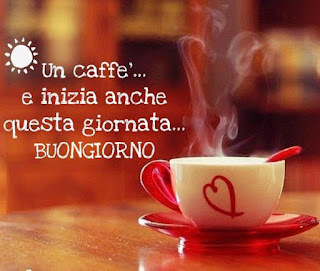 How many opportunities do you get to say "Buon giorno!"? Without shelling out to go to Italy, I mean? Why hadn't I said "Buon giorno!"? Shame! Misery! Ergo, today I was ready. "Buon giorno!" I sang out. And the couple lit up. I mean, I know I probably have a terrible accent, one that would make Leonard Pennario, let alone St. Anthony of Padua, cringe. But the man and woman seemed to think it was fun. They said it back to me. Then the woman asked me, in Italian, how I was doing. I can't remember what it was but I understood it. In foreign languages I always understand better than I speak. In English it is the other way around. Somehow I came up with the word "Bene." And they nodded and smiled in approval. We were all laughing and enjoying. Without shelling out to go to Italy! 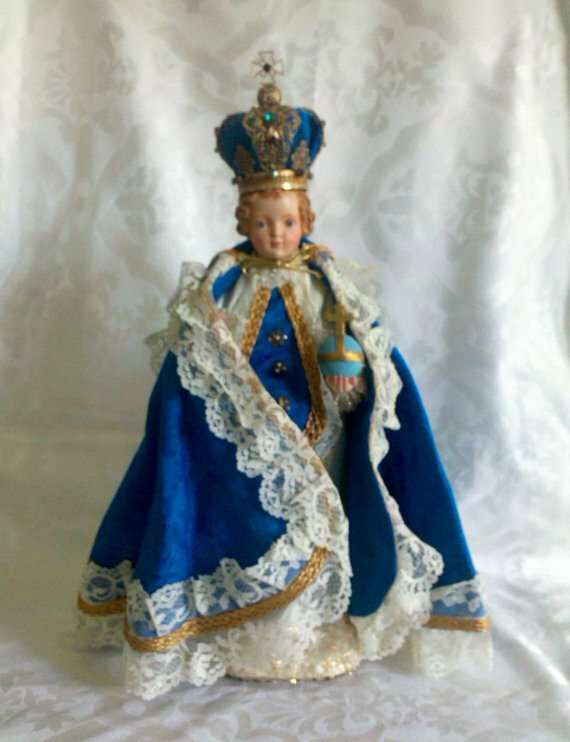 So much has been going on this week that until now I have not gotten a chance to share the good news, that my Facebook friend John Callahan has given a home to the Infant of Prague. Remember the Infant of Prague at Amvets and how worried we were about him? There was no room for the Infant at the Inn but there is at John Callahan's house! John explained on Facebook that he had purchased the statue. I asked him to post a picture but he has not. So we have to use our imaginations. How about that? I see that picture is credited to Organized Clutter. It looks kind of like my own house, come to think of it, piled with books and literature and old things and material relating to Leonard Pennario. 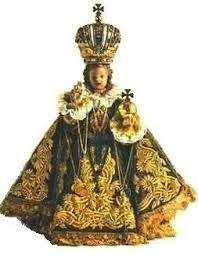 Plus, my Infant of Prague is a statue like that one. Well, wherever John Callahan put that statue, I am sure it is a place of great reverence and respect. And his home is surely blessed! I am desperately trying to clean up my house in preparation for Thanksgiving. One thing I have to do is go through all my dad's books. And that is what I was doing today. My brother George brought them all over to my house several weeks ago and unloaded them unceremoniously in the front room, and now I have to deal with them. OK, technically they are my mom's books too. But most of them are my dad's. 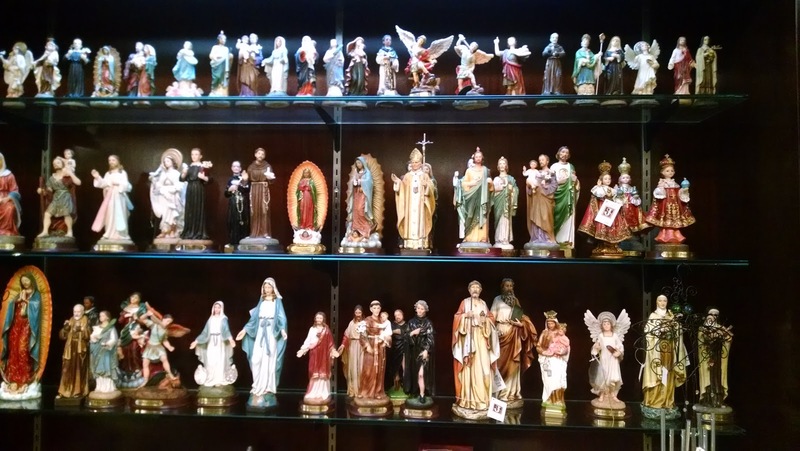 Some of them were given to him by my mom. But that is another story for another day. For today, we address the subject of A.E. Housman. That is he pictured above. This was a British poet, in case you did not have a dad like mine. A.E. Housman wrote beautiful poetry that my dad acquainted me with when I was a kid. As I saw the name I began reciting automatically... "The day you won your town the race/We chaired you through the market place/Men and boy stood cheering by/And home we brought you, shoulder high.." That is from "To An Athlete Dying Young." That is a very sad poem because the winner of the race dies young. He winds up, as Housman puts it, townsman of a stiller town. But back to this book. The object of going through these books is to figure out which books belong on the A list, on my living room bookshelf, and which can just be packed away. Me being me, nothing is being thrown out. That goes without saying. I am looking at this one Housman book thinking, that's funny, my dad loved A.E. Housman, and yet there is no writing in this book. My dad frequently leaves notes in these books. But there was nothing. I put the book aside. Eventually I see: "More Poems By A.E. 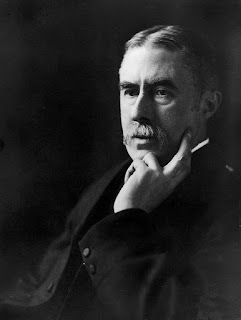 Housman." There is my dad's handwriting, college-age I am guessing, on the inside front cover. Pompously he has written: "To my friend, George John Kunz Jr., As a token of sempiternal esteem, From the author -- Alfred Edward Housman." How about that? I have not checked my work but I think I am right, off the top of my head. Thanks to my father. Anyway, those melancholy verses were in my head. 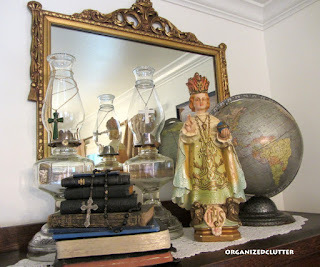 I was thinking of my dad and also of Leonard Pennario, the things of his that I have kept and internalized. But now suddenly that all changed. It was as if my father were in the room with me and we were laughing together. It was that funny. We are all going to see each other again some day, God willing, you know? It is not that bad. Anyway. End result as we say here in Buffalo: Hours go by but finally I have things sorted out. Books with meaning in the bookshelf. Books without meaning in liquor boxes and stashed somewhere else. Am I ready for Thanksgiving? No. Not by a long shot! But I am one step closer. Before long I can start planning my menu! That Sesame Street scene above, that will be my Thanksgivinv table this year! Because I went to Tops and bought the biggest turkey. This turkey is so big that action halted at the checkout. The clerk looked at it and gasped. The clerk's name tag, by the way, read Israel. That must be an adventure to have that name! I wonder if when he goes on break his fellow employees make jokes about ransoming captive Israel. "Rejoice, rejoice, O Israel!" perhaps they warble. 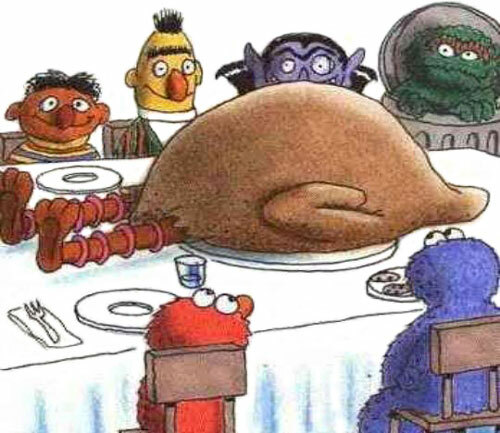 But back to my turkey. "I know," I said. "It's big." The Buffalonian behind me in line also got involved. I said modestly: "I had to look hard for it." A 24-pound turkey is not the biggest turkey in the world but it was the biggest to be had at Tops. And I was lucky. Last year they were smaller. It is funny because the food magazines always use a 12-pound turkey as a guide. Food magazines, that flaw aside, are fun at Thanksgiving. It is no wonder I capitulated on Cooking Light the other day. You are guaranteed recipes for humble vegetables I love, like cauliflower and squash and Brussels sprouts. Sometimes even cabbage! Sometimes even rutabaga. Desserts are down-home and use cheap fruits like apples and pears. No macadamia nuts or cocoa nibs. Old wives' implements that are otherwise rarely mentioned are ushered into the spotlight and discussed. Fat separators. Potato mashers. Food mills. In the middle of it is the traditional, cheap, all-American turkey. We do not normally write about world events here at the Leonard Pennario Web log. Pennario did not talk politics and neither as a rule do we. You make enemies that way! And so instead of talking about events in France let us turn to Cooking Light. I have this on-again off-again thing with Cooking Light. Sometimes I love it and sometimes I hate it. 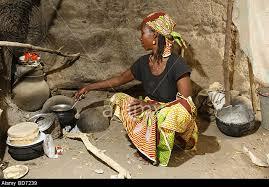 For instance it always shows super-skinny women cooking things like cookies. As in the Getty Images picture above. There was that time it told me everything that was wrong with my cooking. And the business with the cooked plants. I still stand by these gripes I aired several years ago. And these...hahahahaha! I stand by them too! No wonder there the time in '12 when I renewed it and instantly regretted it. I am starting to regret renewing it now, just looking back. However, I beat that price! That was $8 and this time I got it for $5. It is amazing it is still here so I can do that. "I am starting to think Cooking Light is hitting the skids. When I used to get it before, it was better." That is what I wrote, yikes, five years ago! I noted that the magazine had just been redesigned and in my experience that meant it was probably in trouble. Well, now it is five years later and Cooking Light is still going. It has been redesigned something like five times, too. You know what, though, I was thinking the other day, I have to chill. I like these cooking magazines. It brightens my day when I find one in the mailbox. My heart soars when I can add to my clutter! So I should quit letting them bug me. However, I do reserve my right to kvetch. It is just so delicious! November, got to love it! Four days now in sandals. That means you can subtract four days from winter. Every beautiful day is one day out of winter that we are not getting. 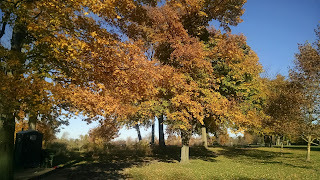 I took the picture up above walking in Delaware Park yesterday. There is a poem my dad used to read us when we were kids about November. I just Googled it. It this a wonderful world or what? Here it is. It is by Thomas Hood. We do like sharing poetry now and then on the Leonard Pennario Web log. He loved poetry and was friends with poets. 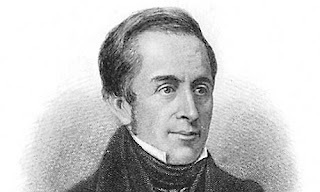 Thomas Hood was a Victorian poet and some of the references in the poem are kind of obscure to us. They refer apparently to things in Victorian London. OK, we've waited long enough. Got to see what he looked like. He was born in 1799. The last of the 18th century. How little times have changed! That portrait of November is still pretty accurate. It is too bad that the Catholic Church has pretty much dropped the ball on All Souls Day, leaving people to associate this day only with the Mexican version of this ancient feast. The Mexican All Souls Day is the Day of the Dead and that is all you hear about. 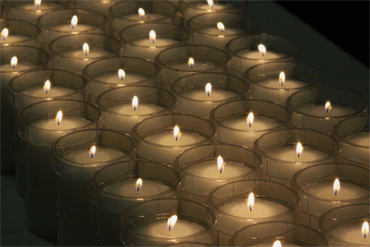 A few years ago we got to have All Souls Day masses at St. Anthony's and they were tremendously moving and powerful. The sermon was usually about how we were all heading toward death at breakneck speed. They have this black coffin called the catafalque surrounded by candles and the coffin stands for all your departed loved ones. And the priest would do a Solemn High Requiem Mass. With all the candles lit. There was an unbelievable moment of silence at the end when he would bless the catafalque with incense. He would walk around it in complete silence as everyone watched. You would look on and pray for your own personal loved ones. I remember thinking of Leonard Pennario. And my father, and my Auntie Rose, and my Uncle Bob. I will never forget that! Good thing because I do not know if I will ever get the chance to see it again. But oh, I loved it while it lasted! There was 2009 and the kid in the hip-hop outfit. You never knew who would turn up at the All Souls Day Mass! It was more popular than you think. Hmmm. I see that year that I had marketed the Mass, telling people to show up, that they would not feel conspicuous, that they would be fascinated by the rite if only for anthropological reasons. Perhaps that kid read that! Wow, that was funny how I overslept that year, after gaining the hour. All the things you forget. This is why God created Web logs. The year 2010 was when I claimed my Plenary Indulgence. And in 2008 was my first All Souls Day Mass ever, at least that I can remember. I could not get over it. It is a Catholic tradition to pray for the dead as we discussed in the 2009 post "Fatlings and Fuggers." And the All Souls Day Mass was such an opportunity to do it. It is a pity the tradition is so lost. No more Latin High Requiem Mass. No more catafalque surrounded by incense. We had an All Hallows Day party at my church, St. Anthony of Padua. Hallows are saints, speaking of which it puzzles me how that one Harry Potter book, wasn't it named "Harry Potter and the Deathly Hallows"? How can hallows be deathly? It is sort of nice to know what words mean, you know? Well, as a writer I have goofed up a few in my life too. 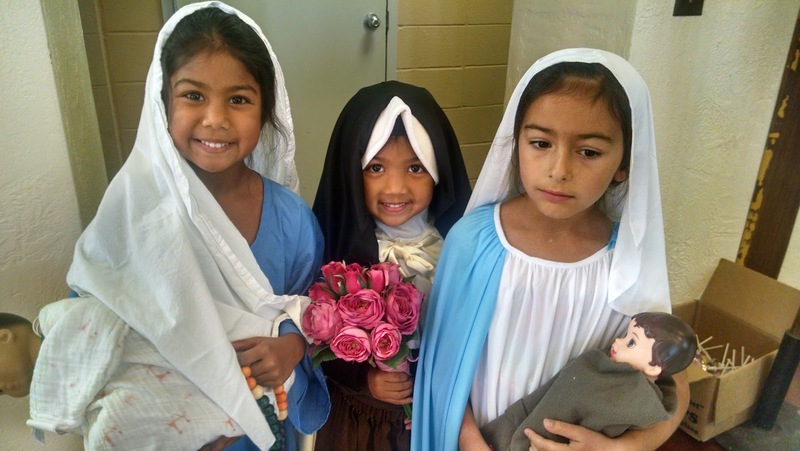 For our party at St. Anthony's the children were invited to dress up as saints. 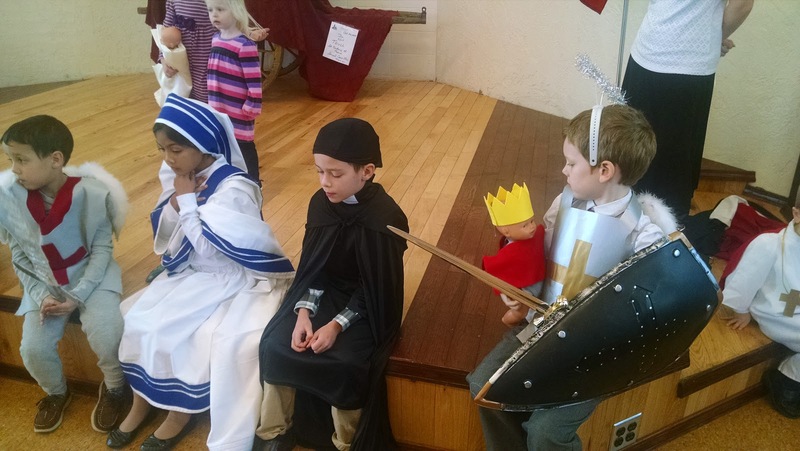 I suggested that next year the grown-ups should wear saint costumes too. We would have fun with that! I floated that idea today past a bunch of church fathers and mothers. It will take a while for it to gain traction but you never know. I am going to be the ruination of this church, you know? "Things were going well until we had this one parishioner..."
Anyway. There is an album I posted to the St. Anthony of Padua Facebook page and I have to share a couple of them. 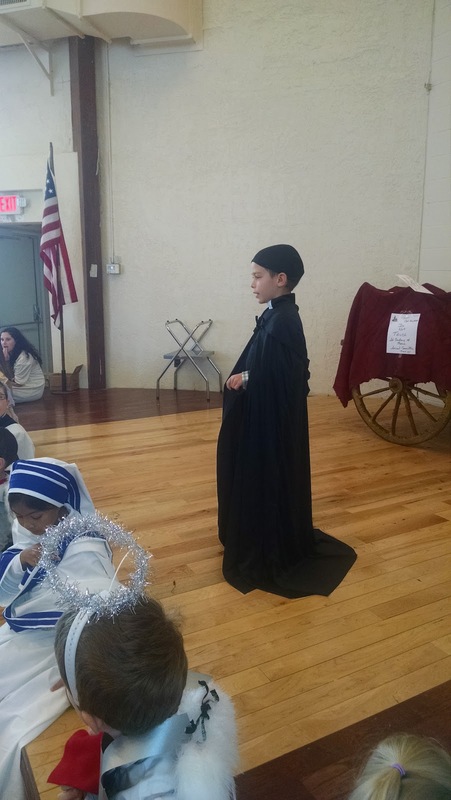 Here is a solemn little St. Vincent de Paul giving a speech. I wonder if he got his costume at St. Vincent de Paul. It does not look like it. 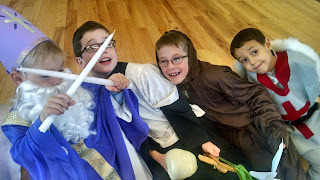 And this other tyke rocked the candles as St. Blaise, the patron saint of throats and one of the Fourteen Holy Helpers. That is St. Michael on the right if memory serves me. Ha, ha! Can I take a picture or what? I am afraid I spread silliness wherever I go. These three girls, they are the sweetest. 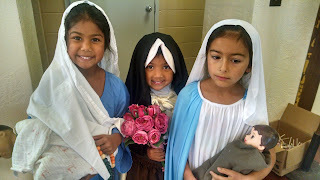 I think the one in the middle is St. Therese, the Little Flower. These kids were so creative. 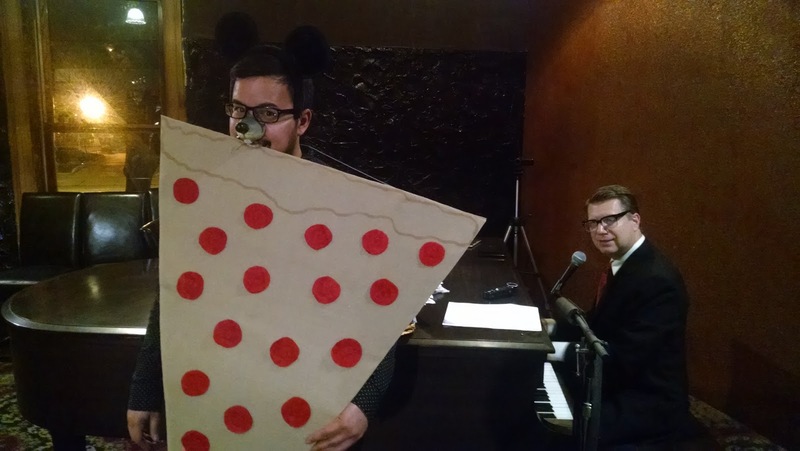 So was my friend Ryan who dressed up on All Hallows Eve as Pizza Rat. 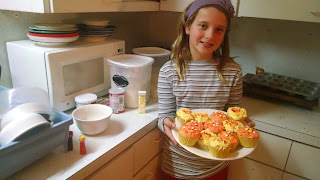 We baked All Hallows' Eve cupcakes today at the old homestead where my niece and nephew now live with their parents, my brother and sister-in-law. Above is my niece Barbara showing off our masterpiece. It is great when you give someone a present and that person really uses it, you know? I do not have that experience all the time. My sister Katie told me years ago that I get people presents that I would like myself and maybe she is right. And if you do that, your gift could fall flat because you are actually the one who likes it. The other person might not. Wait till everyone I know gets books about Leonard Pennario for Christmas! I love Barbara for loving this cupcake cookbook, titled "Cupcake Heaven," I gave her for Christmas. She studies it all the time and when I got to her house she had the book open to Halloween Cupcakes. And this was so cool, in the front of the book I saw all kinds of notes she had made. There were lists of page numbers, and check marks. I do stuff like that. She is like me! 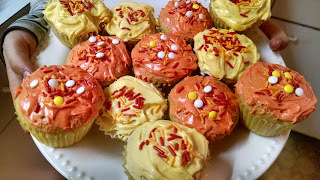 We had no orange frosting but my smart niece knew that red and yellow made orange. We had to seek the advice of my sister-in-law, Natalie, to get just the right shade of orange. Natalie is a crafty artistic person and knows about color. "More yellow," Nat advised. And she was right! Sprinkles I had found for a buck at Ollie's gave an additional artistic touch. Barbara sometimes says these wistful things and after lunch, when we were finishing up our project, she said to me, "Why does everything have to end?" She added, "I wish things could just go on forever and ever." Man, how often have I thought that same thing! I told her that. I said, "Barbara, this is one thing I think about heaven, it must be a place where there are no time limits for things that we love." I think I was imagining Cupcake Heaven! My favorite weekend is coming up. It is the weekend when we get to add an hour! If there is one thing I love it is getting an extra free hour with no strings attached. And on a Saturday night! And this Saturday night is All Hallows Eve. As I put on Twitter today I like this new trend I am seeing toward using that formal name for the occasion. 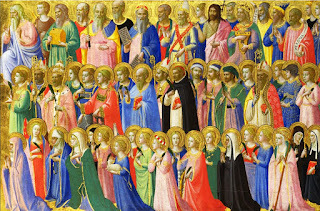 It is the Eve of All Hallows which is the eve of All Saints Day. That extra hour can be used to meditate on that! Or to do anything else. I will probably eat. After that it will get dark before most of us get out of work but that's OK, I can live with that. Sacrifices must be made. It is getting into the best time of year. October is the month I met Leonard Pennario, speaking of which, with the darkness falling early, that means it is a good time for writing and editing. It is a good time for cooking and eating. Right now I am making Rotkohl. That is German red cabbage. With apples. It is simmering on the stove right now. I love the wildness of this time of year. 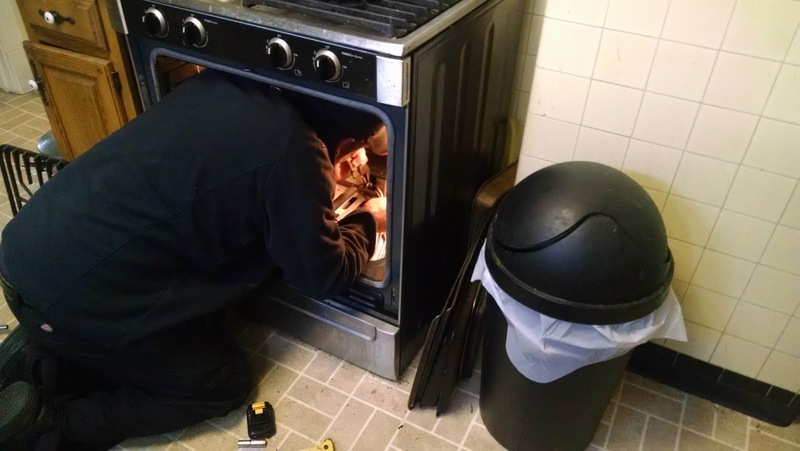 Another thing that happened besides the market madness is that the repairman showed up and finally fixed the Bosch stove. Above is a picture I snapped of the repairman doing the job, to the tune of $219. That was the caption Howard wrote on Facebook for the picture I took and it is most apt. We were talking about how nice it is that Jeoffry is sociable. So many cats run and hide and there is nothing wrong with that, but we like that ours comes out, says hello and sometimes even offers assistance. In celebration for the stove being done I roasted some of the cauliflower I had bought at the market on my spending spree, plus I roasted and stuffed an eggplant. This morning I made peanut butter/ oatmeal bars for church coffee hour. 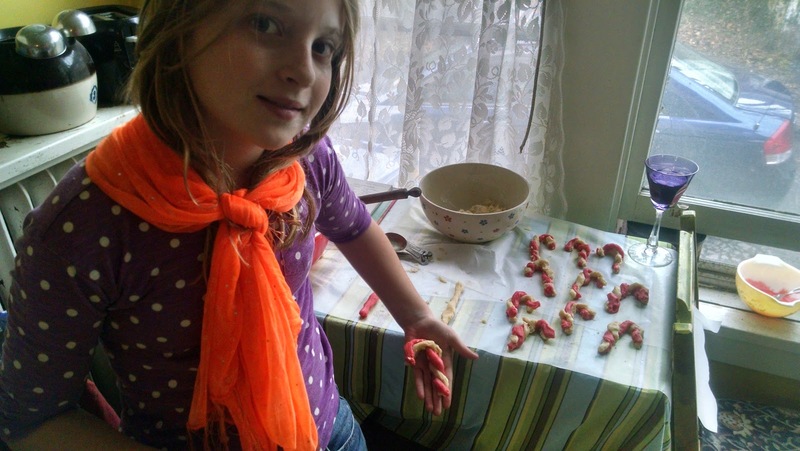 The recipe is from an ancient Pillsbury Bake-Off competition. The booklet shows the winning entries being judged by Pennario's friend Greer Garson so I know the recipes are good. Wow, look at this. Naively I go looking to see if I can find the recipe online and I cannot. This is what I found on the Pillsbury site .. a bunch of recipes built on convenience foods and prepackaged mixes. One of them even starts with "a roll of Pillsbury refrigerated chocolate chip cookies." Clearly with Greer Garson gone this contest has hit the skids. Oh well. Aside from that life feels right again with the oven working. Now, if I could only stop baking! It time for the weekly brain teaser of trying to add up what I bought at Bailey Clinton and how much I spent. Today I went with my friend Lizzie so the totals may well be even higher than usual. Lizzie and I operate in tandem and cannot resist a deal. Once we went in on a whole bushel of scratch and dent, use it or lose it winter squash. I think it was a bushel. It might have been two bushels. All I remember is that both of us went to our respective homes and crammed our ovens with this squash, that very day. It all had to be roasted at once! That was the year that Lizzie learned what we all learn sooner or later, that you can make pumpkin pie with butternut squash and it is just as good and nobody knows the difference. Perhaps it is even better! Because butternut squash is richer than pumpkin. In any event all Lizzie's Thanksgiving pumpkin pies were squash pies that year. Squash: $3.50. We actually found a half bushel for $7, down from the $10 most folks were charging. It is acorn and butternut. Zucchini: $3. 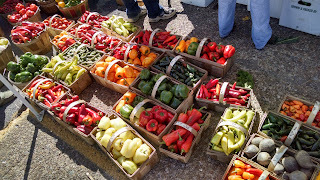 We split a big quantity marked down because they were non-traditional vegetables, as they say at the Erie County Fair. 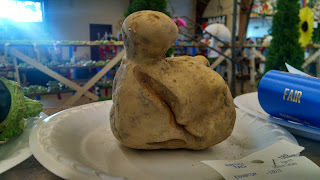 Here is a picture I took at the fair of a non-traditional potato. My friend Ryan pointed out the non-traditional vegetables and I had to take a picture. 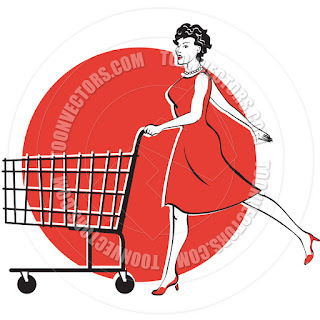 Back to my shopping. Apples: $5 for a half bushel. We split a bushel of drop apples, meaning kids pick them up from the ground. These were from Elaine the honey lady. She has her grandkids picking them to make money for Legos. The apples were two varieties whose names I love. They are Crispin and Ida Red. Cauliflower: $5 for two. I could write an entire post on cauli because I bought the same amount last week and had tremendous fun with it. Cabbage: A red cabbage ($2) will go great braised with those apples. What am I up to? What did I miss? Oh, $3 for nine beautiful big red and green peppers. Those are Bailey Clinton peppers at the top of this post! They were so beautiful I had to take a picture. Two big eggplant for $1 each. Corn, $2. Howard loves corn. I think that is it. It adds up to $24.50. That is not too bad considering it will get me through the week and I am good to go now with squash and apples. How the time flies! It has been 10 days and still my Bosch stove is kaput. The deal was, Orville's repair shop does not tell you if the repairman, on the appointed day, will arrive in the morning or the afternoon. I did not realize that. Innocently I called the day before the appointed day, which was yesterday, to ask if the repair would be in the morning, which I hoped, or in the afternoon. Ms. Orville said, "We can't tell you that. You will get a phone call between 3 and 5 telling you." I said, "Between 3 and 5 tomorrow?" Tomorrow being my repair day. I looked at the clock. "It's 2:58 now," I said. "It's two minutes till three. Can't you tell me? Maybe you could look it up.,"
There was a long pause. I waited. Finally came the bad news. The repair was in the afternoon. I, ahem, work. I had an assignment in the afternoon that could not be broken. So there I am, out of luck. Unfortunately I was nice as pie, please and thank you. Nice as pie gets you nowhere, you know? I always think of the last time I went to California to see Leonard Pennario. The rental car place lost my reservation and showed no compassion and I actually lost it to the extent that I complained and then I cried. Publicly. End result, as we say here in Buffalo: Compassion. Satisfaction. Finally! I asked them if they could move me to the morning and you could tell this bureaucrat really enjoyed herself as she told me no. It didn't make sense, when you thought about it. If all the calls went out between 3 and 5 that meant I was ahead of the pack. Why couldn't they move me and then call one of the previously scheduled morning appointments and simply told them the afternoon? The repair had to be rescheduled for Saturday, zut alors. 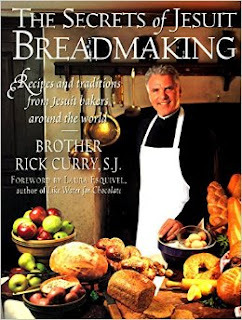 But meanwhile there can still be fresh bread, thanks to the bread machine! People wonder why you need a bread machine. This is why. The loaf has risen very high and a wonderful aroma is filling the house. I am appalled at my appliances. Remember when my Bosch stove went kaput? Who could forget it? It was Aug. 8, 2012. And I had bought the stove only two years before that. Now it is kaput again! Das Bosch ist kaput!! Again it is the oven. What, is this going to keep happening every two or three years? It has me angry. And it got me thinking about when the fridge kicked after just a couple of months. 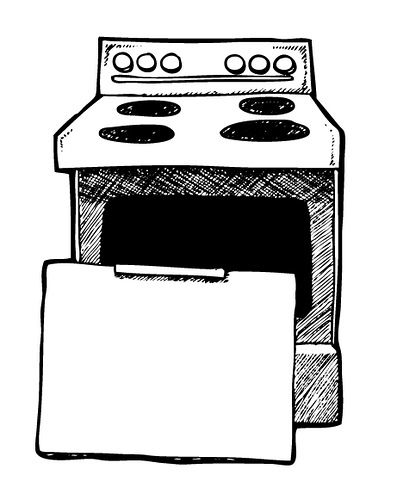 What is with our appliances? I cannot help thinking of my mom and her old gas stove. We got that stove when I was a tween and we had it for decades, as a matter of fact my brother and his family still have it and cook on it every night. Never, ever, do I remember a repairman being summoned for that stove and believe me, I cooked on it over the years hundreds of times. All those posts I wrote about cooking for my mom, I was cooking on that stove. This stupid Bosch, I have had it barely five years and here I am having to eat a second repair bill. I am supposed to be eating some yummy pie or something and here I am eating this bill. These are the wages of all these extra electronic settings. Instead of being simple and good and elegant like the piano playing of Leonard Pennario it is like those lesser pianists who try to get all fancy and reinvent the wheel. This has all got me so disgusted that I just want to cook in the fireplace. I would be better off doing that, you know? Like the woman in the top picture. It is from the website of the Herbert Hoover Presidential Library and Museum. Of course I have been there, hasn't everyone? This gal has it right, too. Reading this story in The Buffalo News about Buffalo Beer Week I found myself remembering the beer my dad drank. There were cases just like the one above stacked in the Crying Room. That was our back pantry closet known as the Crying Room because if you cried you were sent in there to chill. When you stopped crying you could come out. By the way the Crying Room was always the Crying Room, even when it was not being used as such. My mom would say, "Go to the Crying Room and get me a can of tomato paste." 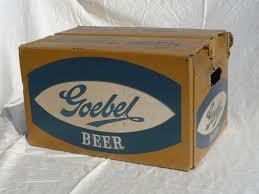 I put in a lot of time crying on the Goebel's beer cases, that I can tell you. Leonard Pennario was performing over at Kleinhans Music Hall and there I was six years old, sitting on the Goebel's beer cases, crying. 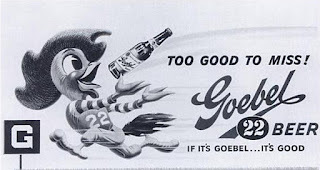 I did not see what was funny about the name until a few years later when my older brother's girlfriend came over and saw the Goebel's and said, "What, do you also have Goering Beer and Hess Beer? Speer Beer would have a nice ring to it, at least in English. 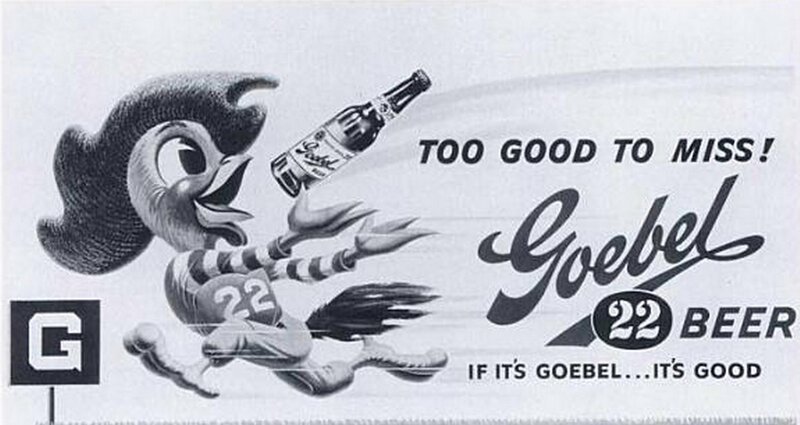 Goebel Beer came out of Detroit. I learned that just now when I found this ad. Our microbreweries inherit a rich heritage. I went to a sale today on Wallace Avenue with my friend Lizzie. I bought life-changing things! For one thing, a white wicker love seat for my sun room. I have dreams of making my average Buffalo sun room into a turn-of-the-last-century, ahem, conservatory. With plants growing on pedestals, and, with luck, a Victorian bird cage. Thinking aloud here it occurs to me that I would like to re-create the British India of "A Secret Garden." I will sit there of a chilly morning and drink Darjeeling Tea. 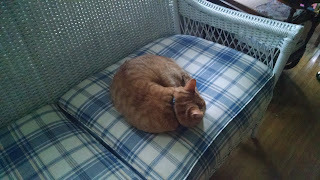 Jeoffry lost no time cozying up to the new love seat as you can see in the picture above. This item of furniture was heavy by the way! It is old. And it is immaculate including the cushions. Also I bought a coffee table. For $10! It is beautiful and I will have to post a picture. ... as I have mentioned before that good mantillas do. I gave the mantilla to Lizzie so she can wear it at the Tridentine Mass at St. Anthony's. With her blond hair she looked beautiful in it. 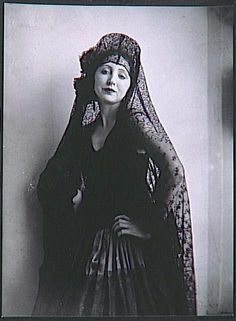 The mantilla, or chapel veil if you will, was 50 cents as it turned out. A small price to pay for the good stewardship of your immortal soul! Not to mention looking like Floria Tosca. Or even Carmen as the case may be. 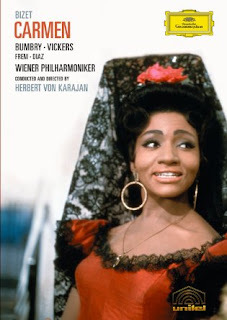 Carmen was no good example of Roman Catholic womanhood, God knows, but there is no harm in duplicating her look, as illustrated here by the great Grace Bumbry. You do not get to wear lace veils enough in the course of your everyday life, you know? Normally you get to wear them only on your First Communion and wedding days. I am glad I have taken control of that situation and now get to wear them whenever I like. All the day needed was a Leonard Pennario album but, alas, none was to be found. There were Genesis albums in the basement. Oh well.